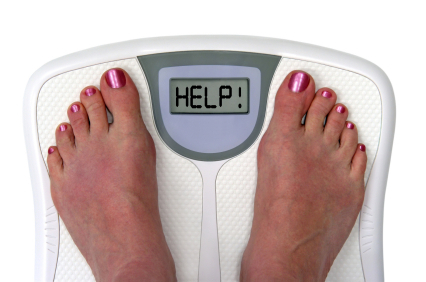 So we have covered the 4 reasons why weight loss is so difficult, and now you know them it will be easy! Hopefully you’ve done the mindset exercise (this is a must), and set sensible goals using lots of different ways of measuring your success. Now point 2 in the 4 aspects to cover for successful weightloss was Hydration. There isn’t much point in getting the exercise and nutrition right if you don’t get the hydration right, because you’re poor old body will just think that it’s on a desert island which is getting worse and worse, and try to hang on to everything! That’s why it is point 2 after the mindset exercise. Do you know why you need water? Does your car work without oil? Nope. Well your body needs water, and sleep. You’ll die sooner of dehydration and sleep deprivation, than you will from lack of food. If you don’t drink enough water, your body thinks it’s in a desert and tries to hold on to everything it can. Plus, even if you are eating healthily etc, you wont be getting all the goodness you could from the food or supplements, because your body needs water. Ok, so I know some of you don’t like water, but there are loads of ways of increasing your water intake that will work for you, so all you need to do is find some. (Bear in mind I’m not talking about drinking litres and litres of water in one go, as that can kill you too). Keeping water in the fridge so that you can have a glass of cold water when you are thirsty (I know that warm water is meant to be better for you, but I don’t like it). There’s a lot of water in fruit surprisingly, so that can be an extra way of getting water into your system. If you aren’t keen on water, then try to add at least some, and then compromise with a really good fruit juice (not from concentrate) and a good weak glass of squash (without sweetener or preservatives). If you think that there is a chance that you have been terribly dehydrated, then use a sports drink for a couple of days first to get your electrolyte levels up (sugars and salts), then replace them with water. They might have a few nasty’s in them, but otherwise you can actually start drinking more water, but because your electrolyte levels are out, it will just go straight through you and not get used. How can you tell if you are drinking enough water? Now I have heard someone disagree with this, and suspect that it might depend on the person; but basically if you can see that you peed in the loo, then you didn’t drink enough water. In the morning it’s bound to have colour, but from then on you are looking for water coloured, or a light yellow. Or you can keep an eye on how much you drink; some professionals recommend 8 glasses of water a day, others recommend 1.5-2.5 litres of water a day (here is a wiki answer with more info). You will need to add water after exercise as well. ** In fact I’m not a fan of any diet stuff at all as they have sacharrine in them. If I was going to drink a fruit squash or fruit juice, I would prefer going for the full sugar one, than the diet one. Let me know how you do, and feel free to ask for help if this doesn’t get your water drinking improved. If you find these tips helpful, feel free to sign up for my RSS feed or subscribe by email, tell your mates, and join my facebook fan page. MADS Small business Award – might have mentioned I need VOTES! I had a wee read of this post the other week and it made me realise I’ve not been drinking anywhere near enough water! I think when you’re chasing after a toddler it can be quite easy to forget to look after yourself. I think I was probably going some days with a coffee in the morning, a cup of tea at lunchtime, and then nothing until the evening when I’d have a glass of wine with dinner. No wonder I was feeling a bit cruddy! I’ve taken your advice and started to drink a lot more water – probably still not as much as I should – but at least 4 or 5 glasses a day, and I can’t get over how much better I feel. I have so much more energy, and am snacking far less. I think I was probably confusing thirst for hunger for a long time previously. Thank you so much for letting me know lovely – I know it works, but it’s great to find out it’s helped someone ‘real’ out there!